Sharon and I were back out on the Florida State Parks trail this last weekend, and visited the Myakka River and Oscar Scherer State Parks. Just to recap how I am approaching the parks, I only fish with artificial lures, and only fish each park for about 2 hours or less from the shore. The Myakka River Park was the first stop in the morning, which is just south and east of Sarasota. I tested the area where the river meets the lake since the water was flowing, but the area I could fish from was very limited, and gators were everywhere! I got a few bites on a texas rigged trick worm, but decided to move on. 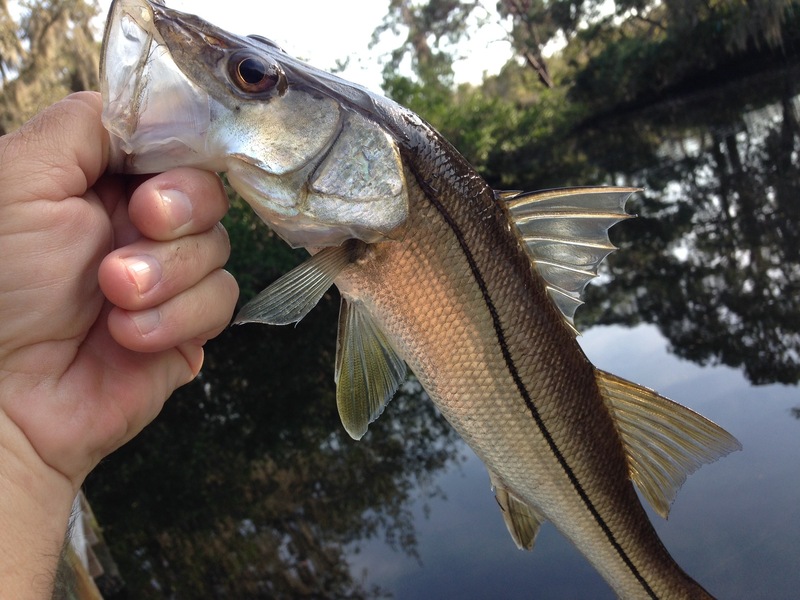 I found a spot where a creek flowed under the road, and hooked up with a small bass, but it came off quickly. 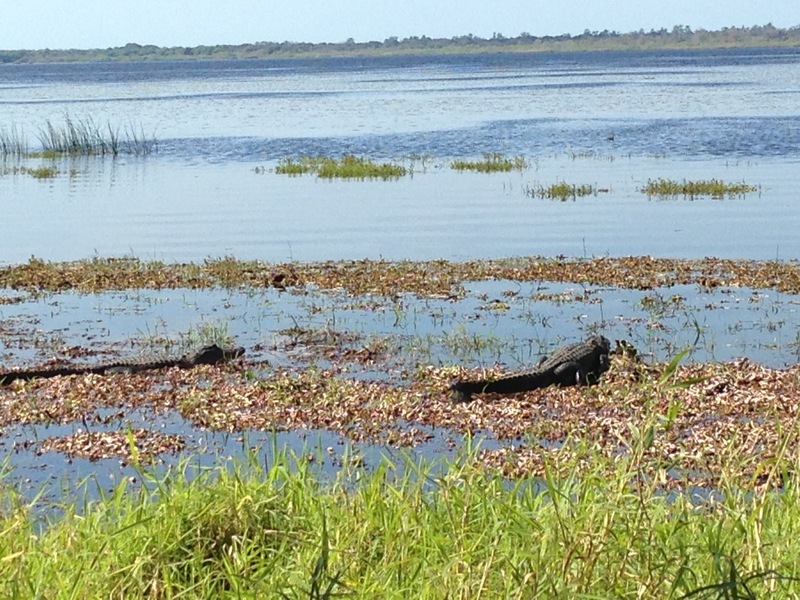 That was it for the Myakka, I really should have caught something here, but it was not my day. The Oscar Scherer State park has a small freshwater lake and a small brackish river to fish. 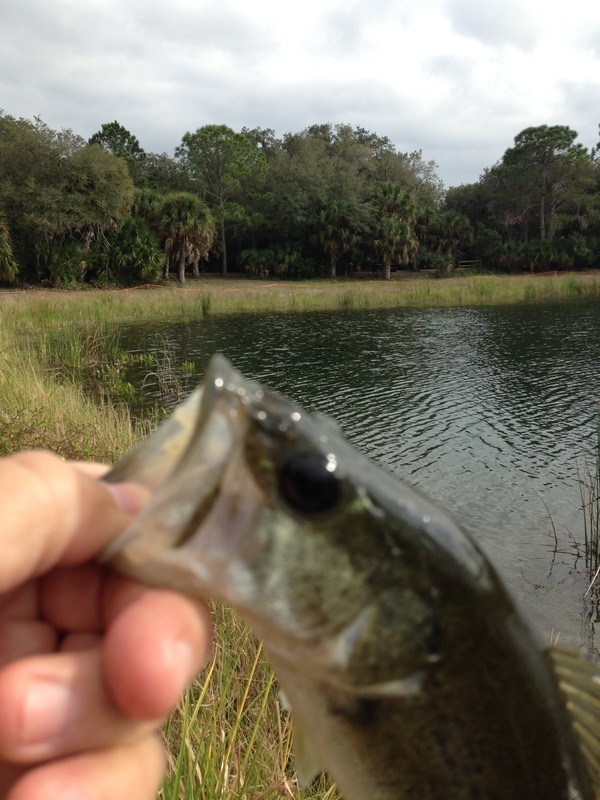 I started at the freshwater lake and caught a few small bass. I wanted to try the river for snook, so I walked down to the canoe launch area. 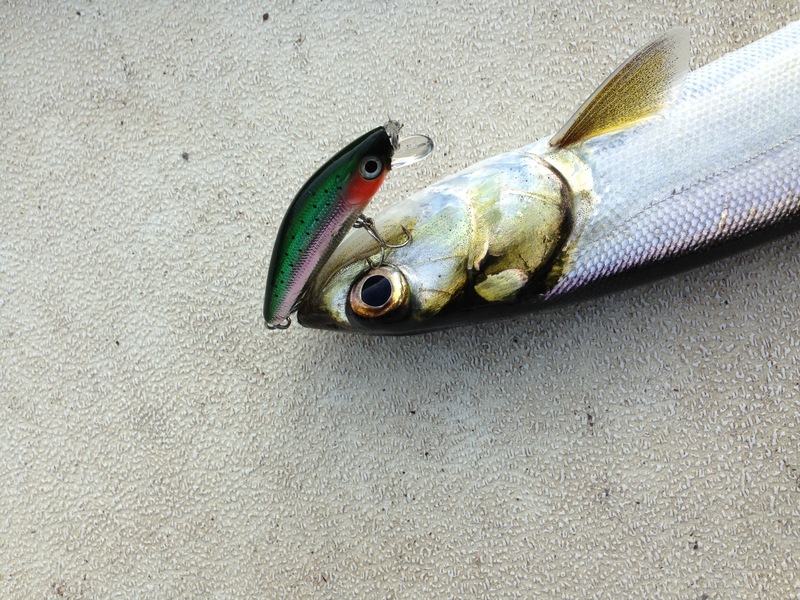 I saw a bunch of shook schooling on bait, so I threw my Yo-Zuri jerkbait at them. I caught two quickly and a lady fish that was in there with them. 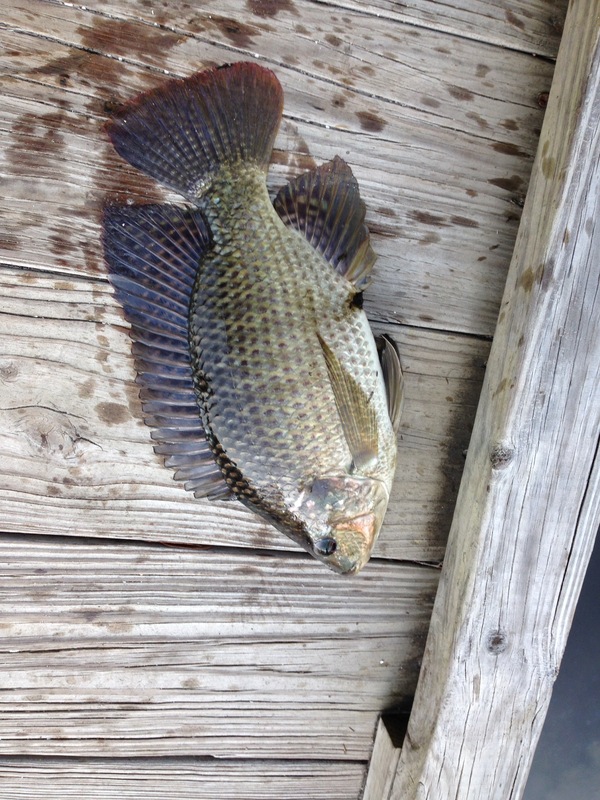 The strangest catch of my trip was the Tilapia that hit my jerkbait, or maybe I just snagged him in the lip! This entry was posted in Uncategorized on February 6, 2015 by shurstrike.